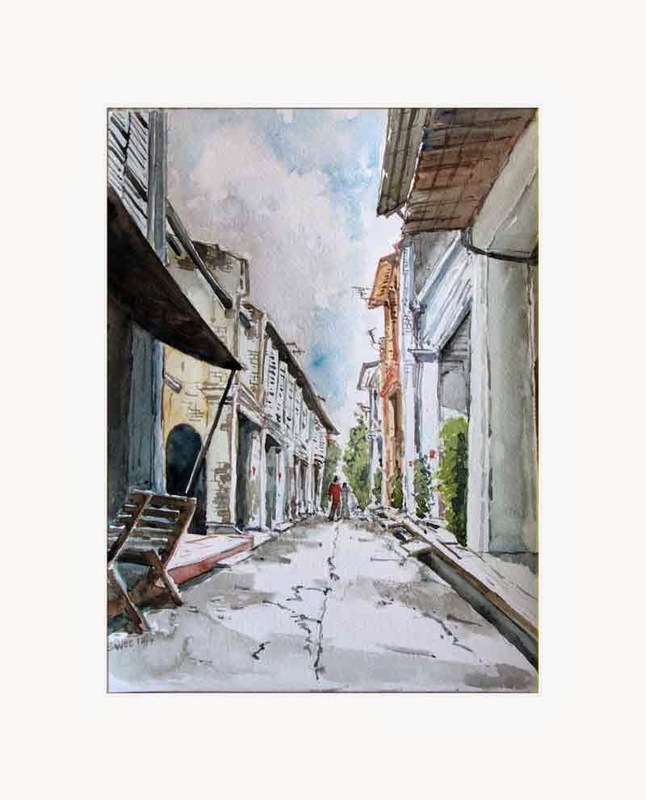 I have always wanted to paint the Concubine Lane, Ipoh, ever since I saw it some years back but didn't get to it for one reason or the other. I love the play of structures against each other, as if continuing a conversation from the past. The stretch is undergoing refurbishment - the owners of the buildings here are undertaking renovation because some of the structures are falling apart. I have painted this lane with lots of light to enhance the quiet mood.